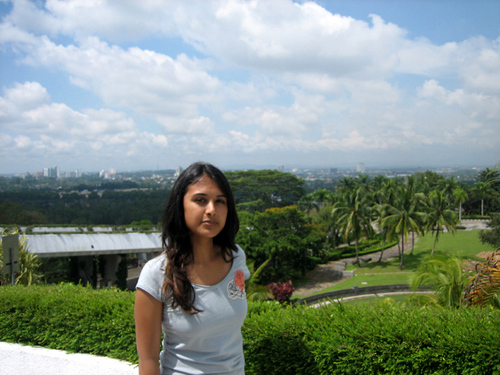 Miss Aditi Shah is a fourth year medical student from University of Birmingham Medical School. She joined UNIMAS Department of Ophthalmology for a student elective placement involving clinical experience as well as research project in ophthalmology. 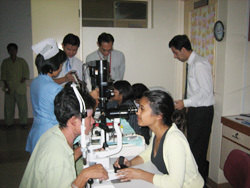 The study was supervised by Dr. M. Alhady and Professor C. Chua (UNIMAS) and Professor Phillip Murray of the Birmingham and Midland Eye Centre, City Hospital, Birmingham and was entitled the "The availability and accessibility of cataract surgery in and around the city of Kuching". The elective was arranged by our Head of Department, Dr. Mahadhir Alhady. We welcome students to Kuching who are interested in doing an elective incorporating clinical experience with a research study. If you are interested please contact your Medical School Ophthalmology Department and ask them to write to Dr. Mahadhir Alhady. View of Kuching City from Kuching North City Council. 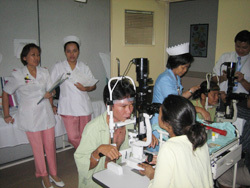 Interviewing an Iban patient for the project with Nurse Veronica as interpreter. 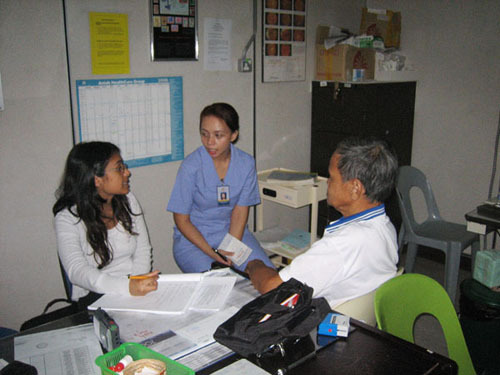 Interviewing a Bidayuh patient with Dr. Tan as interpreter. 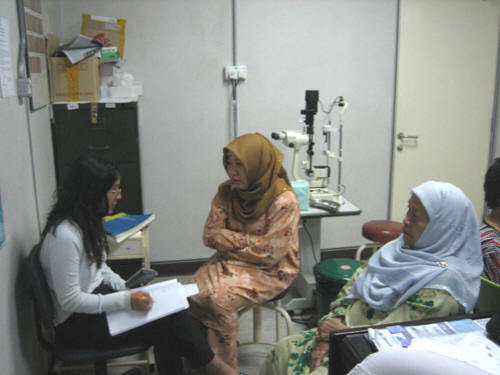 Interviewing a Malay patient with her daughter as interpreter. 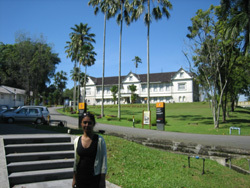 In front of the Sarawak Museum, Kuching. 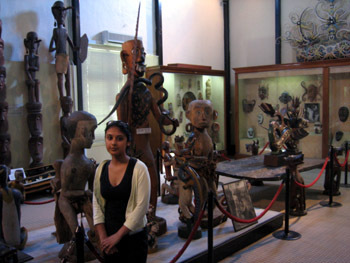 Native Sarawakian sculpture in Sarawak Museum. 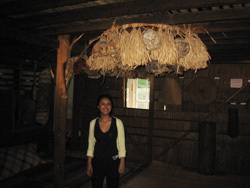 Under baskets of skulls in an Iban longhouse. 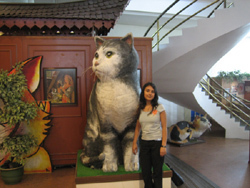 The only Cat Museum in the World.